Jackson Men's Action Tee. 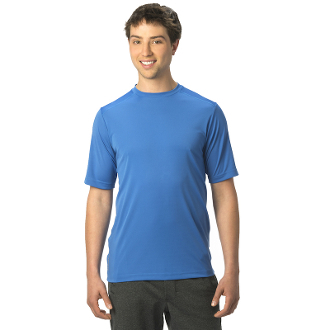 Made with 100% Polyester interlock with Deluxe Dry moisture wicking technology. Short sleeve crew neck tee with mesh back panel and rounded hem. Jackson logo at back of neck, Matrix logo at bottom right hem. Available in several colors in Adult S - Adult XXL. Click on images to see colors and sizing chart.